Hereafter “Company” is Envo Drive system with the brand name of EbikeBC and the “Dealer” is a brick & mortar industry-related business who is willing to re-sell the company’s products and offer local service and will keep Demos for the customer to test ride. 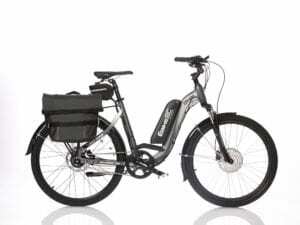 Company provides the products by the specifications mentioned in website: https://ebikebc.com to the Dealer by a certain pricing strategy which is provided through a sales chart. Company tries to maintain stock availability of all products full year-round to eliminate the need of investing on big local stock at dealers’ location. Once the Dealer maintains the conditions, company will advertise them on the web site, and redirect buyers’ traffic to the Dealer. Dealer should advertise and/or promote Products in a commercially reasonable manner and will transmit as reasonably necessary product information and promotional materials to its customers. Dealer must maintain qualified staff and necessary equipment for the purpose of providing adequate installation and maintenance services to its customers. Dealer shall be responsible for post-sale customer services pursuant to the guidelines of Company and shall not pass such services on to Company. Once the Company redirects sales traffic to the Dealer, Dealer should not engage in any act or omission that makes a competition with the company’s business, products or brand. Either Party should not engage in any act or omission that damages the reputation, business, or goodwill of the other Party. Dealer will maintain confidentially of all documents & information relating to the business of the company. The company will provide the materials base on ex-stock price to the dealer. Dealer is responsible for transportation and transit insurance of products from assigned warehouses to the final customer. Dealer hereby agrees to defend, indemnify and hold harmless company against any liability, losses, damages or costs (including any legal costs) incurred or suffered by company as a result of any breach, negligent act or omission or willful default on the part of dealer, and dealer assumes all risk and liability for any loss, damage or injury resulting from the sale and use of the Product, either alone or in combination with other products. Dealer is responsible for safe keeping, maintenance and the expiry date of the consuming products especially Li-Ion batteries. Minimum advertised prices online by the dealer should not be less than 90% of the company’s MSRP on ebikebc.com. Company provides to Dealer warranty upon receipt of shipment. Dealer should open and inspect all shipment within 10days frame. 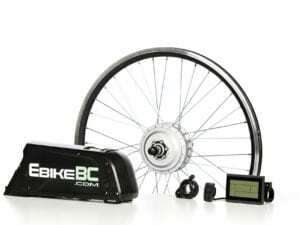 Warranty coverage is different for different products and will be as per warranty terms specified for each product at Company’s website ebikebc.com. Any claim for warranty will be voided unless it complies fully with the claim procedure specified by Company. 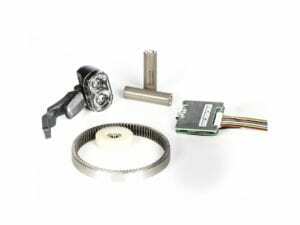 Shipping cost for warranted parts shall not be covered. Dealer who receives Purchase Order in shipments agrees to return parts that are replaced under warranty upon Company’s request. Company reserves the right of making final decisions on unusual warranty issues. Dealer should possess and provide the valid Sales Tax number. Company will provide technical as well as sales training /guidance upon request.